No, no, it can’t be April already, can it? The days zip by so fast I am constantly checking the calendar for the correct date. Writing news? Efforts for THE FIRST TIME AGAIN shift into marketing/publicizing. The local newspaper features local writers, at least a cover and publication information, so that’s on the list. Novelists, Inc. has Next Page and also NincBlast which are good venues for new books. There’s always blogging, here, guest blogging on other author sites, review sites, Novelists, Inc. and Samhain Publishing. I do love the essayist/opinion/sharing aspect of blogging. I’m not a natural book marketer, but I’ve become acquainted with a friend who sews and we’ve decided to rent tables at a craft fair in my neighborhood clubhouse in November. I’ll have my books there and she’ll have her wares displayed and we’ll see what happens. We’ve got lots of planning time! In the past I’ve described myself as a “slow” writer, but I realize now I’m an inefficient writer. A writer friend posted on FB about her struggle with a current wip, “The next time I decide to write without an outline, shoot me.” I thought, “You start with an outline? What a novel idea.” Pun intended. I start with the characters and a fuzzy idea for a plot, write a few scenes, see what a mess it is and THEN I attempt a synopsis. THEN I discover what a REAL mess it is, which is where I’m at with my current wip RICH WOMAN. My solution is usually to bundle up everything I’ve written in some semblance of order and give it to a trusted reader, my daughter or one of my close friends and say, “Read this and I’ll buy you dinner if you’ll let me brainstorm with you.” Usually, that kickstarts my brain into figuring out where to go and what to do with the story. The real news of late is that my songwriting partner Carlene and I have been Skyping weekly and e-mailing in between Skype sessions. We are pretty excited about the song we’ve been working on called Roses in the Sand. Our third partner, Martha, is a wonderful musician. She and Carlene work on the melody. I focus on lyrics because other than years of guitar lessons in my youth, my musical background is zilch. Carlene goes to open mic nights and plays and gets feedback about what we’ve done. I can’t wait until Kelly Clarkson or Faith Hill record Roses in the Sand and it’s playing on the radio non-stop. Recently I came across an author blog with recommendations and examples of what makes a good author blog. Don’t talk about yourself and don’t just hype your latest book, seem to be the bulk of the advice. Talk about other authors and their books. I am not sure I agree. Who’s more interesting than me? That’s why I started this blog. It’s about me! I used to do periodic blogs called “Picky Reader” (check my blog archives maybe they’re still there) where I did blurbs of books I read and authors I liked, just so I could keep track for myself. Once I discovered Goodreads, however, there seemed to be no point. Anyone can join Goodreads and read (mine as well as others) recommendations and reviews of books. But maybe I’ll start including an author recommendation each month starting now. I’ve recently discovered and greatly enjoy British author Ruth Rendell who also writes as Barbara Vine. She’s written a series of Chief Inspector Wexford novels which I am reading my way through. I’d love it if you’d “like” my Facebook Author Pages for Barbara Meyers and AJ Tillock. 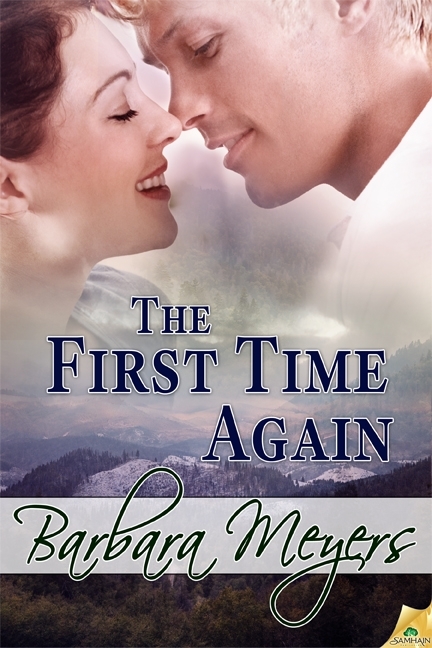 authors, barbara meyers, Novelists Inc., ruth rendell, samhain publishing, the first time again. Bookmark.